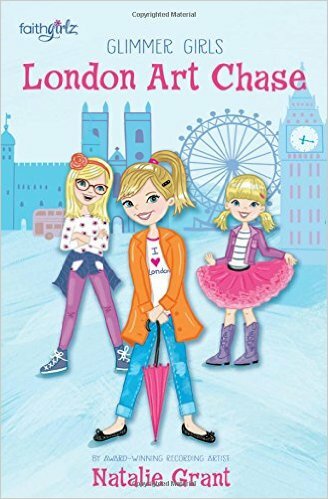 London Art Chase by Natalie Grant is a wonderful book for young girls! My daughter loves books filled with adventure and London Art Chase by Natalie Grant is full of just that. She couldn't put the book down and finished it in record time. We read a little together at bedtime and I have to say even I was pretty interested in the story line. London Art Chase by Natalie Grant is the perfect book for young girls. I love that there's nothing inappropriate in the book which is often the case with books for young girls. London Art Chase by Natalie Grant is an awesome book and I highly recommend it! You can find London Art Chase by Natalie Grant on Amazon, Barnes and Noble and other bookstores.